Do you feel the beginnings of fall in your area yet? I'm sure starting to feel it here! There's a pretty strong nip in the air every morning and night. I've broke out my warm weather pajamas and have replaced the thin blanket on my bed with my favorite fall knitted one to help ward off the nighttime chills. Pretty soon we'll be knee deep into pumpkin and apple flavor everything and delicious fall soups that are great at filling the belly and warming the body. As sad as I am that summer is on its deathbed, I do look forward to fall veggies and all of the wonderful recipes that are going to be jamming up my Pinterest feed soon. However, I am not quite ready to say goodbye to summer. I still have a few lingering summer veggies in my garden, so I thought I'd use them in a new Tomato & Orzo Soup from Golden Blossom Honey. It was kind of a way to help me slowly transition into the new season. I get a delicious soup, but still get to hang on to the flavors of summer just a bit longer. This soup is yummy for lunch, or add a few slices of bread and side salad for a satisfying dinner. I do love orzo, but for some reason it tends to be the forgotten pasta around here. I definitely need to start incorporating it into more of our meals! I do want to point out that I usually don't use water when making my soups, instead I replace it with a stock or broth. In this case, I did use 3 cups of veggie broth and omitted the water, but it's totally up to you on how you best like your soup.Also, I did add a little graded Parmesan at the end for a little extra kick. Always wanted to ask you if you have over there tomato juice or tomato puree for cooking, because I've noticed Americans usually use canned ones. We have tomato juice packed in 500ml cartons, it's just pressed tomato, it's easier for soups and such things. Yes, we have tomato juice and puree here. Mostly it comes in can form, but you can find it in cartons or plastic bottles too. I just think Americans have become accustomed to buying the cans and don't seek out the cartons because it's just easier. I will always go for the carton version first, but some things are unavoidable that you do have to buy in cans. I love how you have a routine down for your meals. I am all over the place and always decide last minute what to eat. Aren't those bowls cute? Very rustic and farmhouse chic! Did you say nip? Geez, had the cat going for a second. Yep, fall sure is here and your dish sure captures it too. I think you and Daisy need to relocate a up north a bit. Wanna swap houses? I am itching to move down south so I can bask in the heat longer than we get to up here. That muggy Florida weather is stifling. That stinks that you weren't able to enjoy the rain fully because of it. We were there in November 3 years ago and it was still really hot and muggy. We were walking around with frizzy hair the whole time! I would that thought all that would have passed by fall lol. Have a great 3 day weekend! The mountain getaway sounds amazing! That looks really good but I'm not allowed to eat rice of any kind anymore because of diabetes. I'm sorry to hear that Mary! That soup looks absolutely amazing! This is the perfect thing for the upcoming cool fall months. I can't wait to make it. Om nom nom. This sounds so good! I love the flavors, and I love all the health benefits of having the tomato and honey. This looks like the tastiest thing ever! This sounds delicious ! I love tomato soup !!! have a nice weekend Theresa!! Oh this sounds really good. 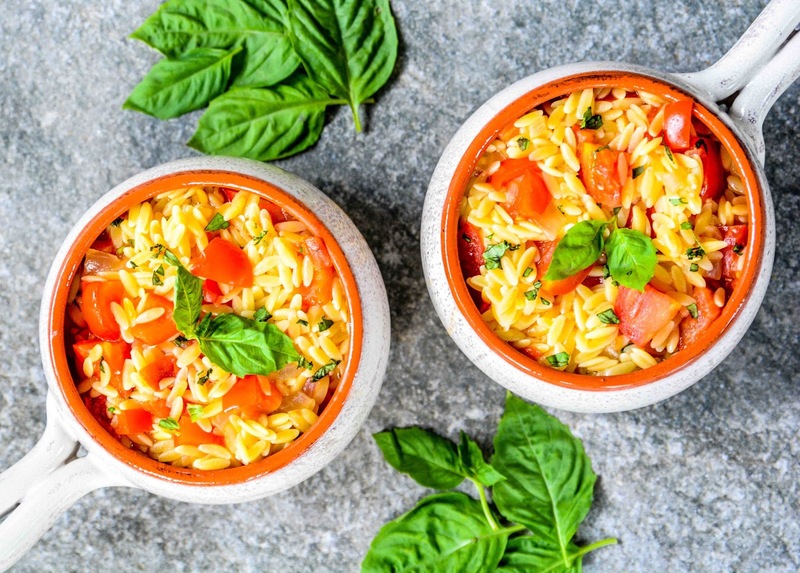 I like using orzo in comfort recipes and I think this would be perfect. 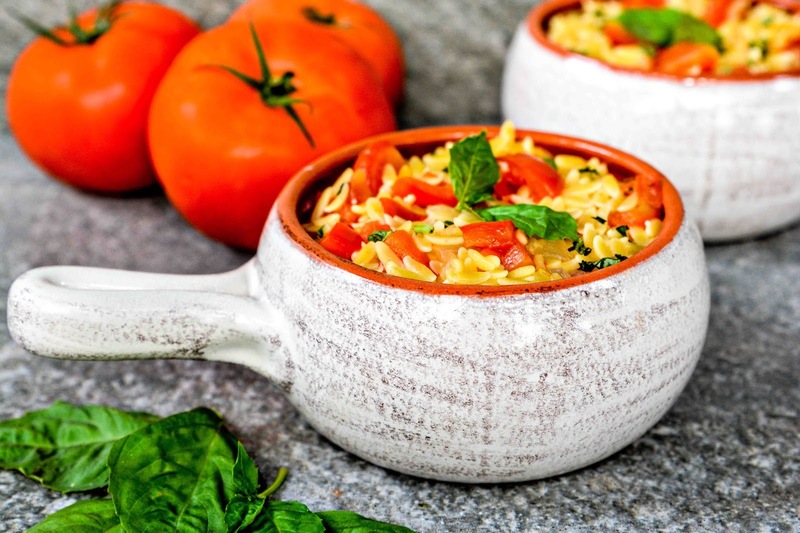 I have never had orzo ... this tomato and orzo soup looks delicious though so I will be giving it a try! Mm, it's been chilly today and it has put me in the mood for soup. This sounds awesome. I've never tried putting honey in any of my tomato soups, it sounds intriguing. Orzo is a forgotten pasta around here as well. This soup sounds great. I'm so keeping this in mind for back to school lunches! It's definitely a lovely way to use your veggies! I think it's a must try. I don't cook with orzo a lot as well and I'd love to use it more in pasta recipes. This looks really good! I love pasta and so do the kids. I try to make one with lots of veggies for us to eat. I think this is a lovely lunch idea! I can't wait to make it for the fam! It's the time of the year again to gather as much soup recipes! I think this is a must try, it looks really good and packed with flavor! That soup looks and sounds amazing. I have never made a tomato soup from scratch but this one could be my first and just in time for fall. This place looks so delicious! I would love to try this soon! What a delicious recipe for fall. I am all about anything with tomatoes. I've heard of this soup many times but I've never actually tried it! Thanks for the recipe, we will try it out! I will be saving the recipe. Soon it will be soup season again! We love tomato soup. Our favorite is creamy tomato soup with basil. Yum. I will try this recipe too. Looks delicious! Hear Hear for hanging on to the summer flavors. It does look nice and hearty. This recipe is so easy to make and it looks delicious. This does look great! We have tons of tomatoes, and I've made a soup close to this. This will be perfect on a chilly fall day and definitely all winter. It sounds delicious! That looks amazing and I can't get over how cute those bowls are too! Are they stoneware? No, they are just ceramic. I have been debating taking them back and waiting for the stoneware to hit the shelves to buy those instead. Yes soup with a stock tastes better.